When I first visited Dorney Park, I never expected all that much from Dorney Park. I just expected it to be an average ordinary Cedar Fair Park. But in the end after I took the time to visit, I was absolutely right. Dorney Park is nothing extrodinarily special or anything, it's just your typical ordinary Cedar Fair park. Now it's not a bad park by any means. Not at all. But there's just nothing really special about it. Though to be honest, it sort of seemed like the love child of Cedar Point and Knotts Berry Farm if I really wanted to compare it to the other Cedar Fair parks. If you really walk around Dorney Park, you'll see a lot of connections to both of these parks. Though Dorney also has some identity of its own. 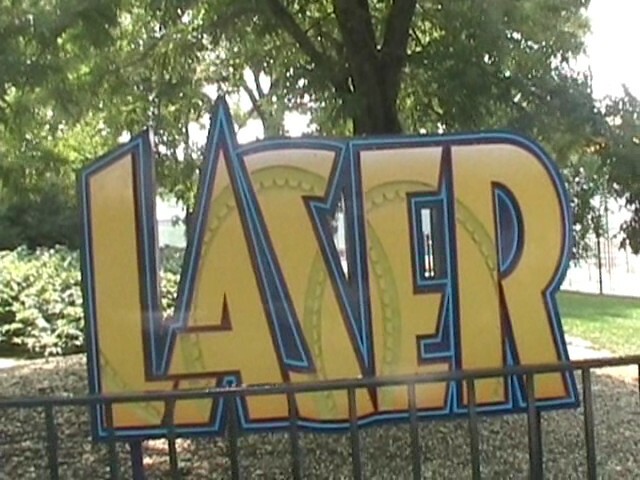 Recently, Dorney Park has become the dumping ground for Cedar Fair. 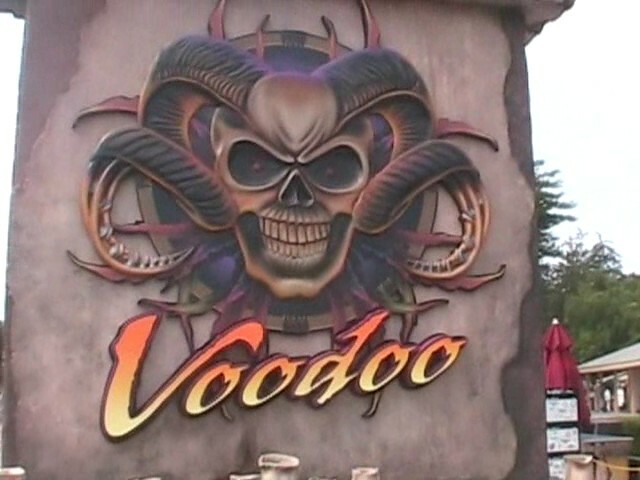 They sent Demon Drop here as well as Invertigo from California's Great America (though they got rid of that as well). I'm not in any hurry to get back to Dorney Park since unlike most parks which added a new ride for me to come back to, Dorney Park has removed TWO coasters. So right now, there's even less at Dorney Park now than when I last visited. I really hope they add something new soon. But I'd still recommend it for those in the area. It's a decent park with a decent collection of roller coasters that will all add up to a very fun day. There is a link to a review of all the Rollercoasters at Dorney Park. Here are the reviews of all the Flat Rides at Dorney Park. 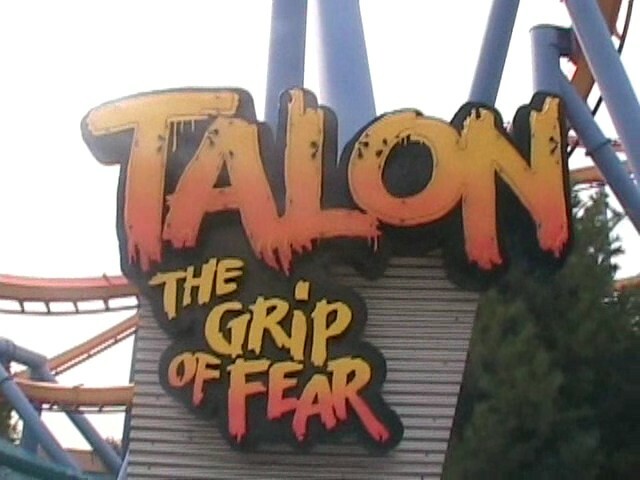 While I never really did any flat rides at Dorney Park, from what I could gather, it had a semi decent flat ride collection. 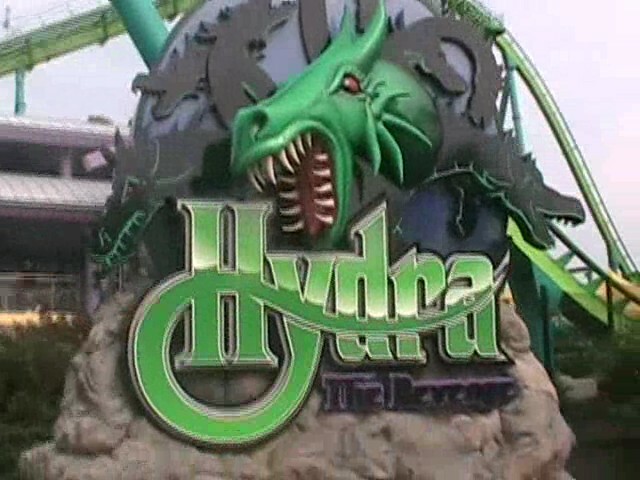 During my entire visit to Dorney Park, I only rode one flat ride. It wasn't a special flat ride or anything, it was just a Chance Frisbee. Usually, these are very fun rides. But this one was pretty much just like La Revolution at Knotts Berry Farm. It even has the exact same color scheme. So yeah, it ran a really sh*tty program. Now normally, even with a sh*tty program, I usually enjoy my ride on La Revolution. But on Revolution here, I couldn't enjoy the ride because I was so angry from my experience with the Steel Force Ride Operator. 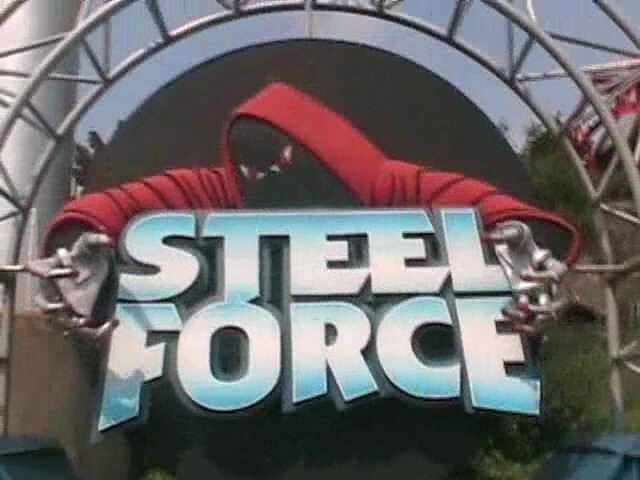 Dorney Park is also home to an S&S Space Shot / Drop Tower Combo, a Zamperla Model of the Swinging Inverter Ship, a Top Spin, an enterprise, a whip, a monster, a music express, a tilt a whirl, a pirate ship, a scrambler, some chairswings, a ferris wheel, two carousels, and a car ride. And since my last visit, they got Demon Drop from Cedar Point. So yeah. It's not a bad flat ride collection, but it's not spectacular either. 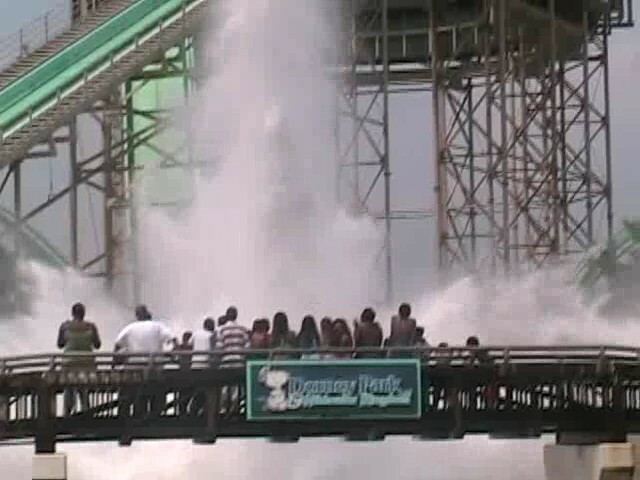 While Dorney Park doesn't house some of the greatest water rides in the world, it does succeed in cooling off it's guests with it's water ride collection. The biggest of their water rides is their Shoot the Chutes, called White Water Landing. Now if you're a waterphobe like me, it'll take some work to get on this ride once you see the splash. IT'S F*CKING HUGE!!!!!!!!!! So now all throughout the ride, I was just thinking "Oh Sh*t. I'm gonna get soaked". The drop itself was very fun, however, I was just ducking down waiting for the splash. We hit the water, it began to sprinkle on us, we were getting wet, but we wern't getting nearly as wet as I was expecting. But just as I was going to unduck, the real water comes. It pounds straight onto us and SOAKS us from head to toe (It just needed to fall back down). So yeah. White Water Landing is GREAT for cooling off as it will soak you. 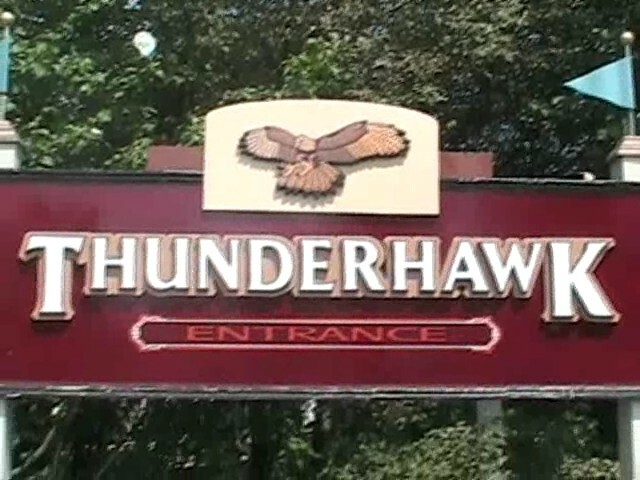 They also have a log flume and a river rapids ride here, but I didn't ride either of those. They do look fun though. I wasn't kidding about the splash. And then there's their water park included with park admission. From what I've heard, it's one of the better waterparks out there. So you might want to check it out. From my experience, Dorney Park had absolutely nothing special in the food department. I ate lunch at Coasters, which is a staple at all Cedar Fair Parks. I got the typical amusement park crap burger. It was good, but nothing special. So, yeah. Typical Food. Moving along now. Here are the reviews of all the other stuff at Dorney Park. For theming, well...there is none. It's just roller coasters, concrete, and trash cans. A typical Cedar Fair park. Now the park setting on the other hand, is OK. The setting is nothing special where you just gaze around in awe at how well it is themed. But it's not horrible. The setting is on some grass right by the freeway. So you can easily spot Dorney from far away. Nothing's hiding it. And as for other stuff, they may have some other stuff, but I wouldn't count on it. So yeah. From what you can tell from what I said, Dorney Park is pretty much your typical Cedar Fair park. Big Coasters, Concrete, Trash Cans, and a lot of fun. There aren't any Top 10 coasters nor is there any amazing atmosphere or food or flat rides. But Dorney Park still delievers very strongley on fun and will provide everyone with a good time with it's big coasters and great water park. Stop by if you're ever in the Philadelphia Area. It's a very fun park. *Are there kiddy coaster restrictions? - Not sure. I wasn't a credit whore when I visited and completely ignored Woodstock's Express. 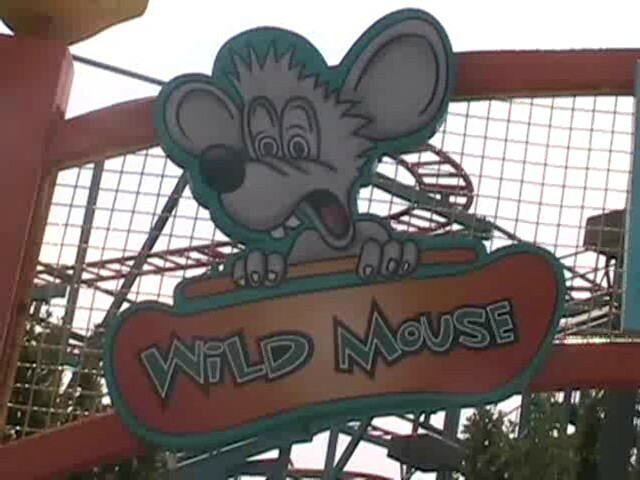 I remember there being some no adult rule on some kiddy coaster, but that might have been for the powered coaster that they moved to Valleyfair. So I don't know. *Avoid RCT Syndrome and head to the back of the park first.